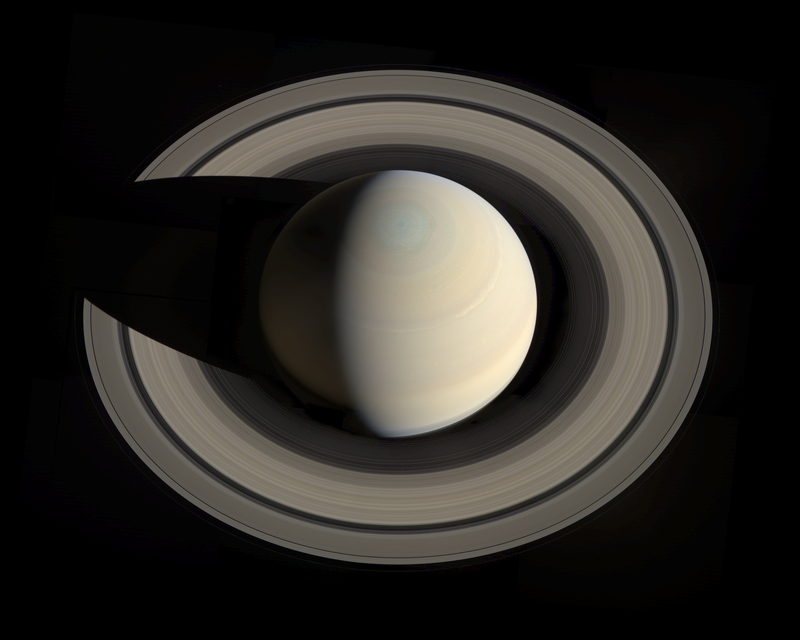 When I first saw this amazing picture of Saturn my nerd brain screamed “CG! FAKE-ZORZZZ!” and this was probably because my rational brain was still scrambling to pick its jaw up off the ground. Lest you think I’m alone in being awestruck by this image lets turn to the preeminent astronomy blogger Phil Plait who is covering this Incredible mosaic by Gordon Ugarkovic over at Slate. I highly recommend reading Phil’s entire post as he highlights some of the more fascinating aspects of this photo. It’s worth zooming in to check out the hexagonal storm at Saturn’s north pole as well as the dark size of Saturn that is being lit up by sunlight reflected off the rings. Like moonlight but 1000 times cooler. It’s also worth noting that while this image was taken by Nasa’s Cassini spacecraft it was a Croatian “amateur” astronomer named Gordon Ugarkovic that took the time to splice a couple dozen pictures together to make this breathtaking image. Then he posted it to a forum with a short and unassuming message. On October 10th, Cassini wide-angle camera captured a set of 12 RGB footprints covering Saturn and the rings. Here’s an attempt at compositing that data into a mosaic. It’s not geometrically accurate, but I tried coaxing the data into at least looking nice. You are currently reading Saturn As You’ve Never Seen It Before at Thomas Paine Rants.